Time to rename the Saddledome. I don’t mean find a different corporate sponsor either. Playing off the word 'Flames' rather than -- yawn -- the shape of the roof, I think Dragons’ Den would be perfect. The impetus for this suggestion is the flurry of activity the last few days in which the Olympic Way headquarters for Brad Treliving and his management team has more closely resembled the set of Dragons’ Den, the television show. If you're not familiar with the long-running CBC series, sole proprietors stand before a panel of successful business people and try to convince them that what they do is valuable and worthy of the panel investing money in them. A fixture on the panel since the show’s inception has been Boston Pizza magnate Jim Treliving, who is Brad’s dad. Tough but fair, he didn’t become one of Canada’s wealthiest people by blindly making flippant investments. You need to pass his scrutiny. Well, if we’ve learned one thing about Jim’s son this week, it’s that the apple didn’t fall very far from the tree. The announcement on Monday that only four of Calgary’s 13 restricted free agents received a qualifying offer surprised many. Most anticipated the number to be double that. It seems Treliving is not just some journeyman minor league hockey player, who has stumbled his way into management accidentally. In addition to being an astute talent evaluator and steely-eyed negotiator, peel back his personable exterior and you find a cold-hearted businessman: unflappable, methodical and ruthless. Close your eyes and you can just imagine this year’s RFAs, sauntering one-by-one up to Treliving’s personal lair, pleading their case to be re-signed, then slinking away dejectedly as the GM concludes they just aren't wise investments. Joni Ortio, Bill Arnold, Kenny Agostino, Josh Jooris, Joe Colborne, Drew Shore, Bryce van Brabant, Turner Elson, Kevin Poulin. None of them received qualifying offers so all are set to become unrestricted free agents at 10 am MT on July 1. The four that got qualified were Sean Monahan, Johnny Gaudreau -- both of whom were obviously just formalities, Tyler Wotherspoon and Freddie Hamilton, who was a mild surprise. Of the rejections, the stunner by far, which left everyone talking, was Colborne. And whatever happens next will be a reminder that every difficult business decision always carries an element of risk. First, a disclaimer. Maybe, just maybe, Colborne and Treliving will find common ground and this will all become a moot point. However, there are reasons to be doubtful as what Colborne could command on the open market may be well in excess of what Calgary is prepared to offer. For the same reason the Flames feared an arbitrator would review Colborne's case, examine the salary of NHL players who had similar production, and award a salary in the vicinity of $3.5 million, Colborne may conclude that if the arbitrator might think that, surely one of the other 29 GMs will arrive at a similar conclusion. Improved his production in each of his first three NHL seasons. Is coming off a year in which his scoring clip (19-25-44 in 73 gm) had him on a pace for 21 goals and 50 points over a full season. That's top 100 production. At 6-foot-5, has size that teams covet. Has soft hands around the net and is particularly lethal in shootouts. Can play all three forward positions. Plus as a bonus, he's a model citizen in the dressing room and in the community -- personable, dedicated, and just an all-round stand-up guy. For example, the day after getting the news that he was not qualified, he was still out in the community representing the Flames. Just last week, the benefit concert for Colborne's Forces was centre stage. If that's not enough, you can top it all off with a recency bias that could crack open wallets just a little wider. In case you've forgotten just how extraordinary his close to last season was, let me refresh your memory. Over the final five weeks of the regular season, he was fourth in the NHL in scoring. Fourth! No matter how some of the goals went in and even if that production did come in so-called meaningless games, those are still stellar numbers over nearly a quarter of a season that put himself in some pretty elite company. I don’t know how high Calgary is willing to go for an annual salary nor do I know how high other GMs might go. But what seems like a realistic outcome is unless Colborne is willing to take a big (and literal) 'hometown discount', he could be moving on. Lose an asset for nothing. Maybe he scores 20 goals again. Heck, with his upwards trajectory offensively, maybe he gets to 25-30 a couple years from now. By walking away from two other arbitration-eligible players as well, that will earn Treliving a reputation of a GM, who will bail on RFAs rather than risk arbitration. Does that perceived cold-heartedness impact his future ability to woo free agents? Does his handling of Colborne, Jooris and Ortio build distrust in current players? Sure it's a business and players get that, but they are humans too. On the flip side, what was the downside of paying Colborne and was it as bad as everyone feared? Had Treliving just sucked it up and paid Colborne what he earned for market value for the upcoming season -- say $3.5 million -- there are a couple things to keep in mind. For one, if the negotiation ended up in arbitration, which was the expectation, it would have been only a one-year deal. In a player-elected arbitration case, which would have been the case in this instance, the team gets to select the term with a choice of one or two years. Treliving could have simply said one-year and even if the number awarded was the worst-case scenario outcome, the silver lining is it would have been just for 2016-17. You keep the asset and have the ability to get something for him at a later point. If his numbers do return to 'normal' as the Flames expect, that should also result in a more manageable 'market value' salary for 2017-18. You retain all the intangibles and character mentioned above that are good for the organization. 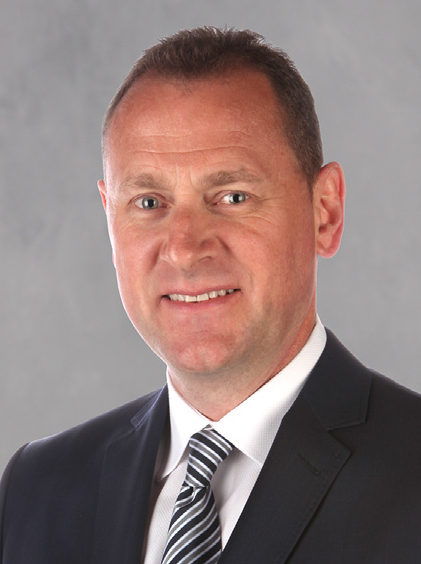 Every year that passes, Treliving is getting more and more comfortable in his own skin as an NHL GM. A couple months into year three now, he's building quite a reputation both around the league and with Flames fans, many of whom cleverly refer to themselves as 'Trelievers'. 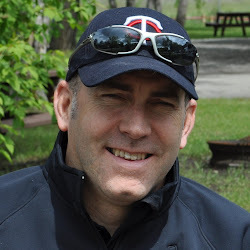 If you go over his resume during his time at the helm, most of the blemishes date back to his first couple months on the job where he came to Calgary in late April 2014 after several years in Arizona. Soon after arriving in his new city, he was drafting, signing and trading for players, despite not knowing his team or the organization nearly as well as he would have liked. The trade for Brandon Bollig at the 2014 draft, the drafting in the second round of truculent Hunter Smith, while a skilled guy like Christian Dvorak lay in waiting, the signing for big money of Deryk Engelland, Jonas Hiller and Mason Raymond -- the latter expected to be bought out on Thursday. Sure, Treliving made those moves but with his relative unfamiliarity with the team, you know he had others from the front office in his ear the whole way. I asked him last year to reflect on the challenges those first few months presented. "When I first got here, I had a computer full of reports and had seen them all play at certain times and I had opinions on them but it's different," he told me. "Until you're living with them and you're spending time with them, you don't know them. Now I see them every day, you get to know them as people, you get to know their character, you get to know their values, and all those things are critical. The difference is night and day." There are going to be bumps in the road. Welcome to life as an NHL GM. The Lance Bouma situation last summer and how best to proceed was the classic definition of a dilemma and the Colborne situation this year -- in which Calgary is skeptical that his offensive numbers from last season are repeatable -- put Treliving in a similar predicament. But he demonstrated Monday in taking a risk and not qualifying Colborne that he's a guy willing to learn from the past and is not be afraid to make a bold decision if it is in the best interests of his hockey club. There will always be hindsight after any damned-if-you-do, damned-if-you-don't decision. 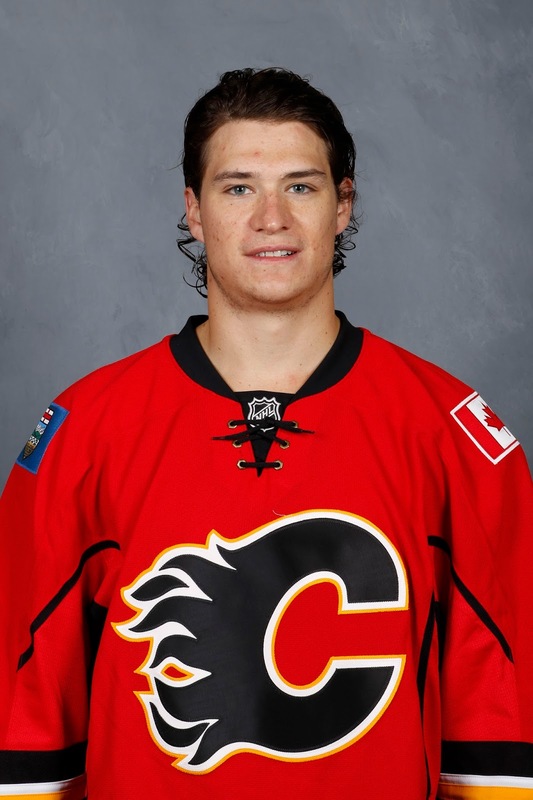 The Colborne outcome will open himself up to criticism if ends up signing elsewhere and turns in another good season. But if you're fan, what you like is Treliving is a guy that makes moves with conviction, he removes emotion from the equation, and he's 100 percent focused on building a Stanley Cup contender. With last weekend's superb 24 hours at the draft as another prime example, he is quickly establishing himself as one of the brightest young managerial minds in the NHL and while that may not be good news for some players along the way, it is great news for supporters of the team. Welcome to the Scotiabank Dragons' Den. Fascinating. Brad Reliving's background is very interesting. While I think very highly of Joe Colborne, I am still impressed with the general manager's steely discipline in his handling of the situation. I think a general manager of a Canadian hockey team needs to be very shrewd when it comes to player contracts. Hockey fans in Canadian markets become so attached to the local hockey heroes that it can result in inflation of their value. For example, the Toronto Maple Leafs devoted huge contracts to players such as Darcy Tucker and others who likely would've made far less money on other teams. I think this kind of inflationary pressure on middling talent player's salaries in Canadian markets can be disastrous as it was for the Toronto Maple leafs. As much as I like Joe Colborne, I think I understand where Brad Treliving is coming from. And as your article points out, Treliving may have had this kind of shrewd and disciplined approach modelled to him by his father. It's not an easy job with a non-stop barrage of damned-if-you-do, damned-if-you-don't decisions that will always result in a divided fan base. But he appears to be well above .500 in terms of his success rate when it comes to signings, trades, drafts, etc. and that's about all fans can (realistically) ask. It's so much of a business now that you must view money as an asset, but at the same time, there's a huge supply-demand element that you need to be wary of. Making sure you don't overpay and ending up with a lousy team and money in the bank doesn't help out either. Thanks for the note.